According to a story reported by two grassroots Syrian opposition groups, the Syrian Observatory for Human Rights and the Aleppo Media Center, Qatta’s words got him killed. 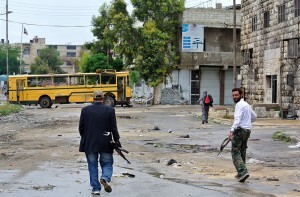 A group of Islamist rebels, driving by in a black car, reportedly heard the exchange. They stopped the car, grabbed the boy and took him away. Qatta, in refusing to serve a customer coffee – it’s not clear why – had used a phrase that the Islamist rebels took as an insult toward the Prophet Mohammed, the most important figure in Islam. That offhand comment, made by a boy, was apparently enough for these rebels to warrant a grisly execution and public warning. As Islamist groups continue to take territory in the Syrian civil war, more Syrians are coming under the control of armed extremists who enforce an austere and sometimes violent version of sharia law. The Washington Post’s Liz Sly has reported on other such punishments in Aleppo, where the al-Qaeda-allied group Jabhat al-Nusra is thought to lead the newly established sharia enforcement authority. Such incidents are a sign of the rise of extremism within a rebel movement that began, over two years ago, largely unified behind the goals of ousting President Bashar al-Assad and establishing democracy. The influx of avowed jihadists and extremists is bad news for Syrians, and not just because those under rebel rule have to worry about sharing Qatta’s fate if they are perceived as insufficiently pious. 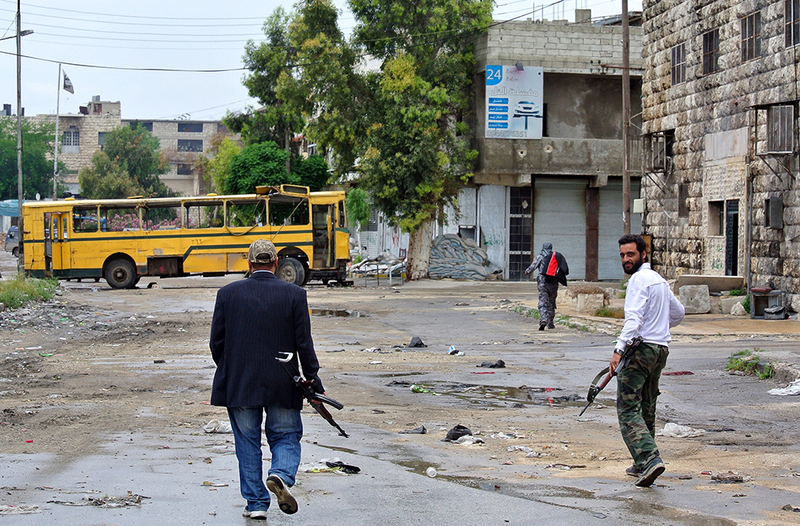 The growth of these groups seems bound to exacerbate tensions between rebel factions, easing Assad’s military path to victory, and scaring off the Western powers that might otherwise be persuaded to lend the rebels greater support. Lots of people in and outside of Syria could get behind the idea of ousting a cruel and unpopular dictator and replacing him with something more democratic. But few things are more universally loathed than an al-Qaeda-allied group that executes children.